Polish rabbi; flourished at the end of the seventeenth century; grandson of R. Ẓebi Hirsch, rabbi of Lublin. He was rabbi of Pinczow and other places, and parnas at Cracow. 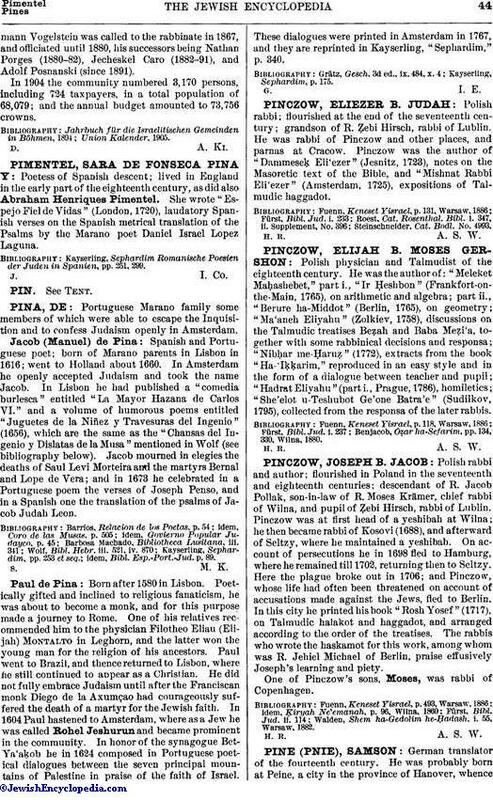 Pinczow was the author of "Dammeseḳ Eli'ezer" (Jesnitz, 1723), notes on the Masoretic text of the Bible, and "Mishnat Rabbi Eli'ezer" (Amsterdam, 1725), expositions of Talmudic haggadot. Steinschneider, Cat. Bodl. No. 4993.